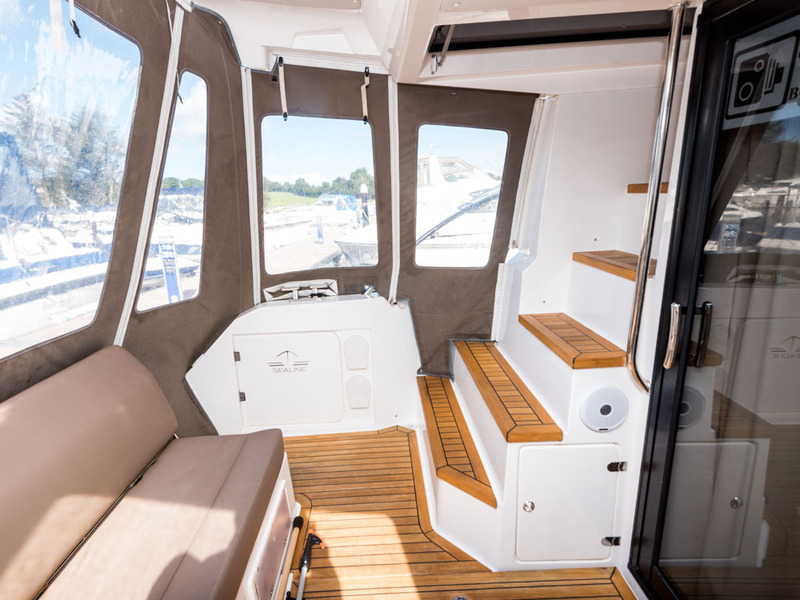 2014 Sealine F380 built by Hanse Yachts in “as new condition”, with masses of spec on board. 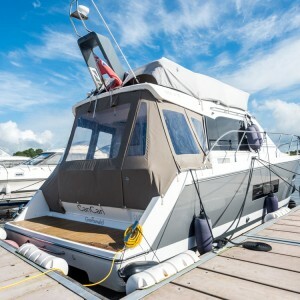 One owner from new with only 270 engine hours. 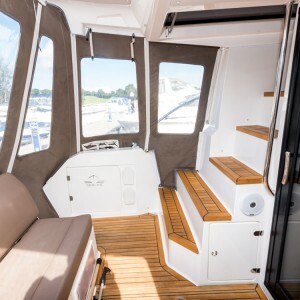 AFT COCKPIT / FLYBRIDGE: Large cockpit area aft with hinging seats for option of forward or reverse seating. 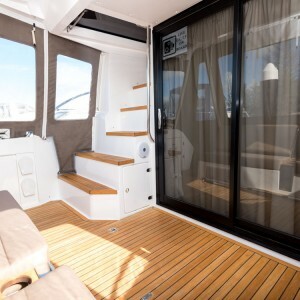 Step access up to large flybridge area. 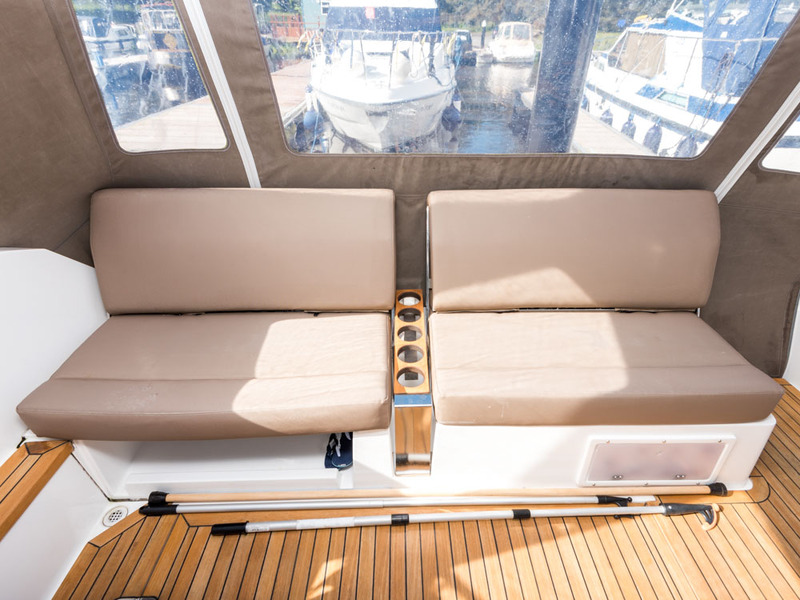 Flybridge offers ample seating with double bench seat at helm and external upholstery. 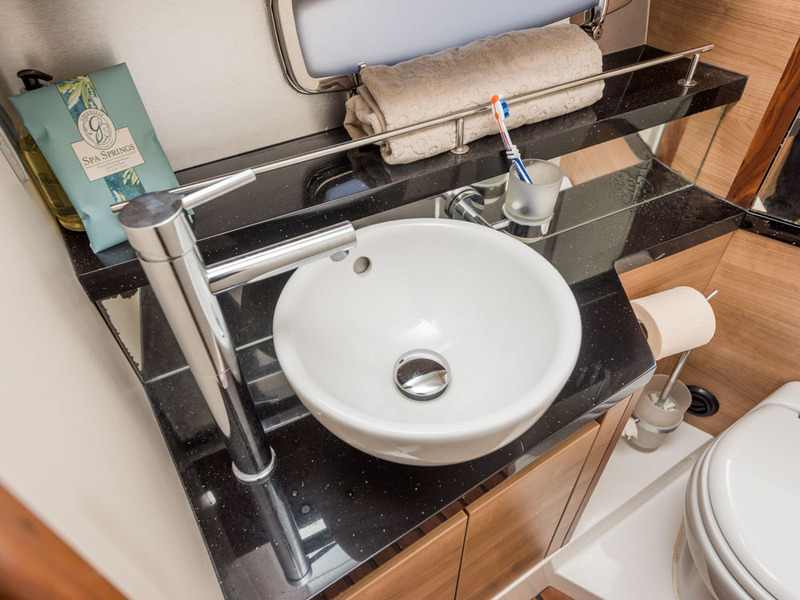 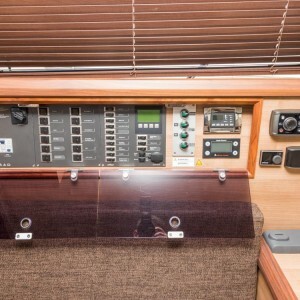 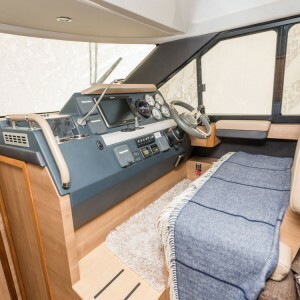 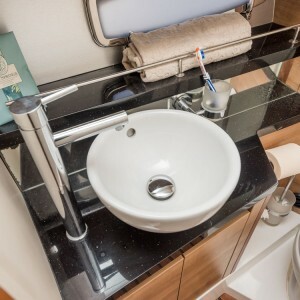 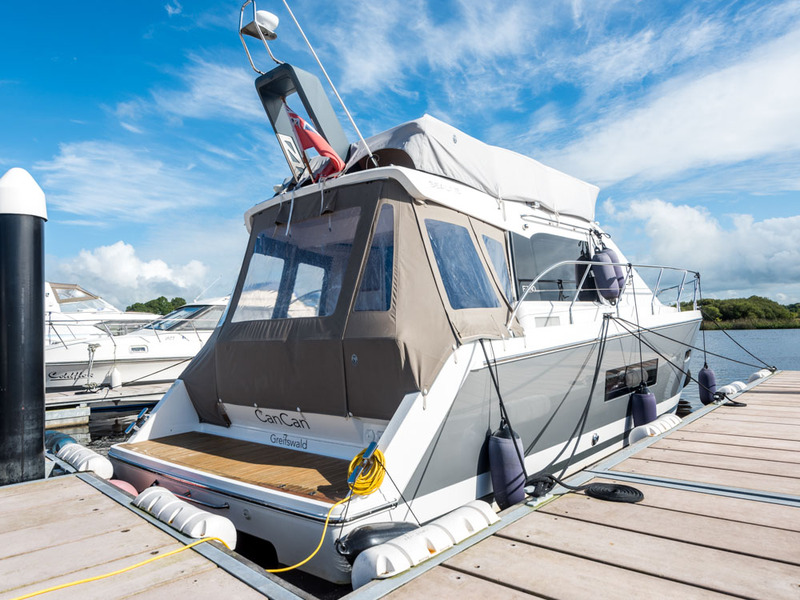 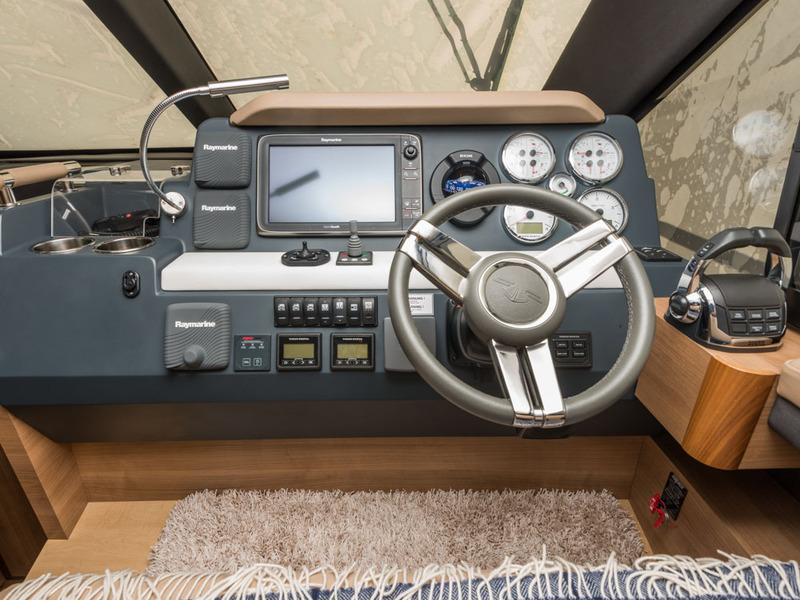 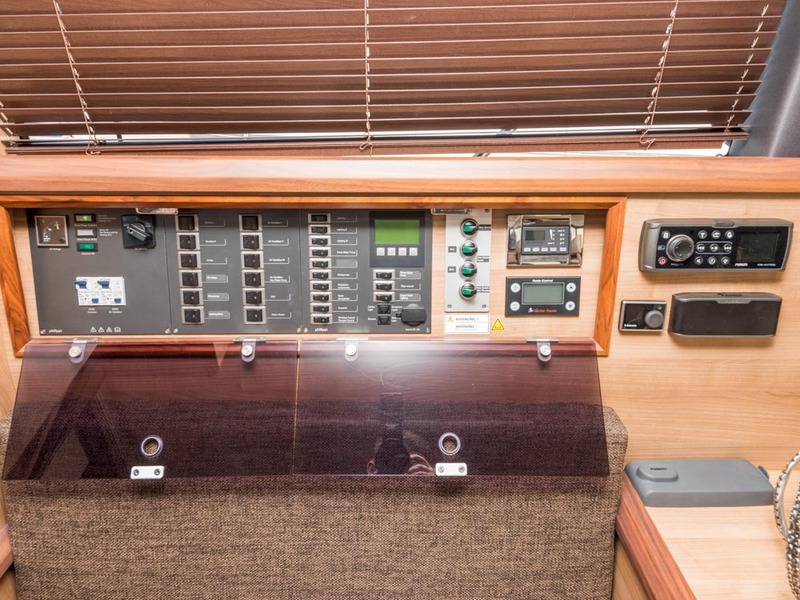 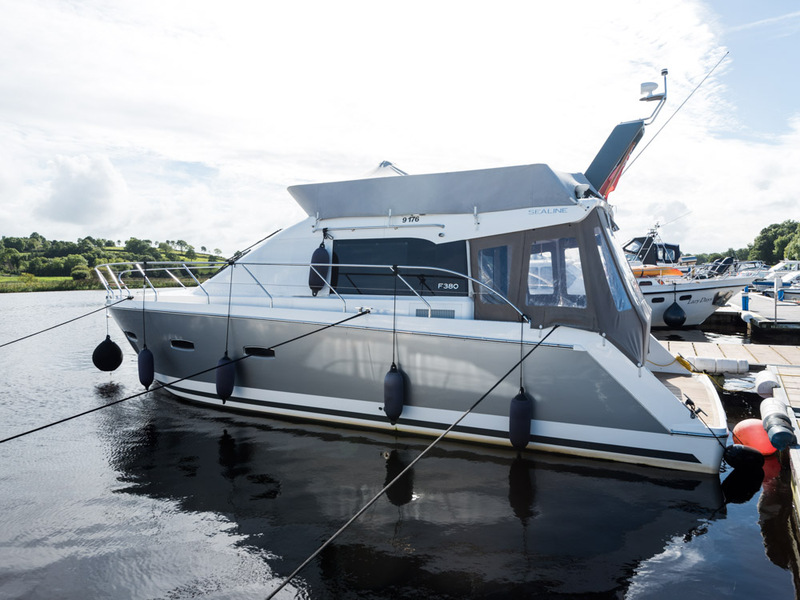 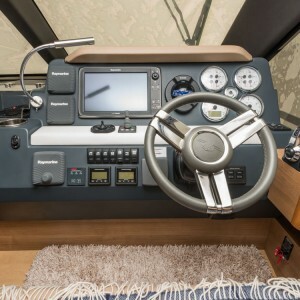 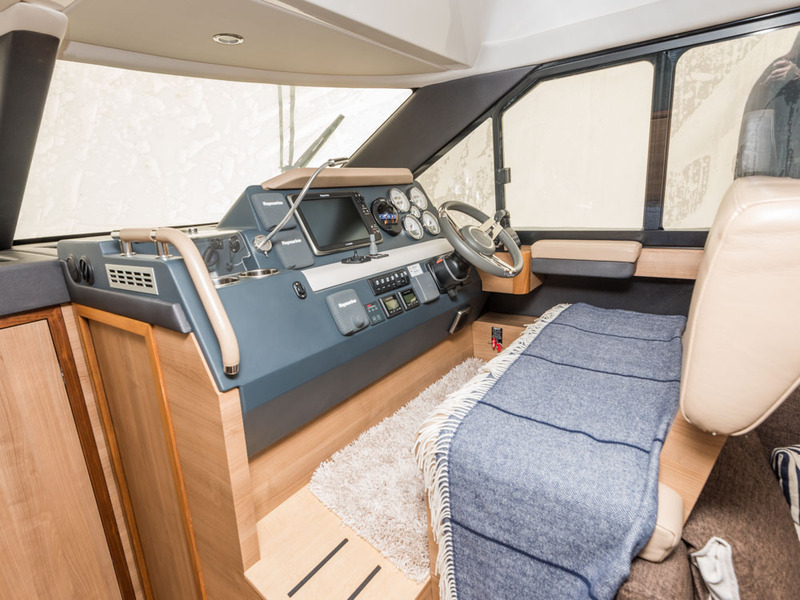 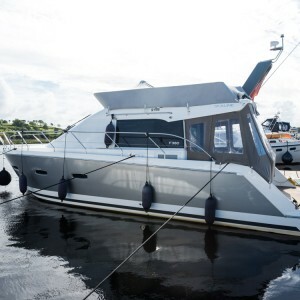 The upper helm is fitted out to an extremely high standard with all the latest electronics. 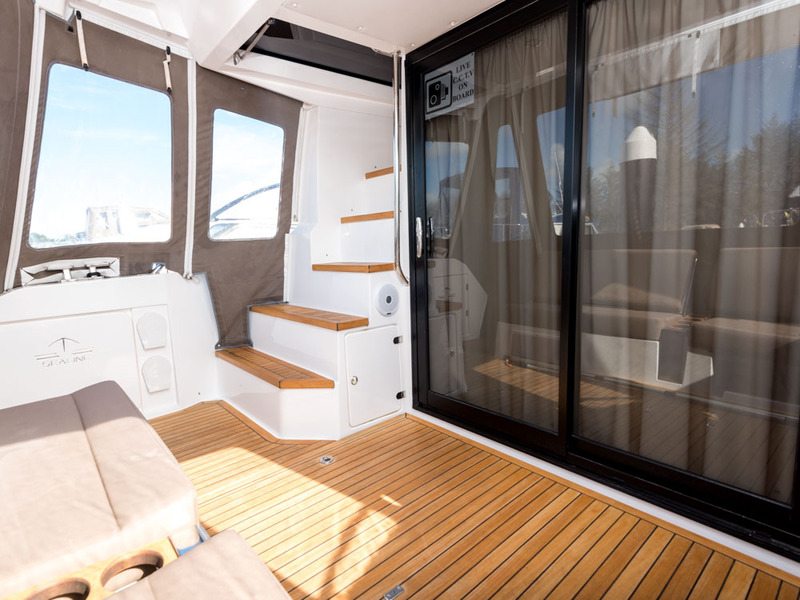 Saloon is accessed through sliding glass doors. 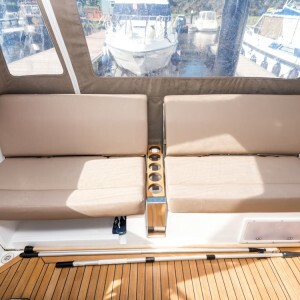 Exterior seating material upgrade with sundeck cushions for foredeck. 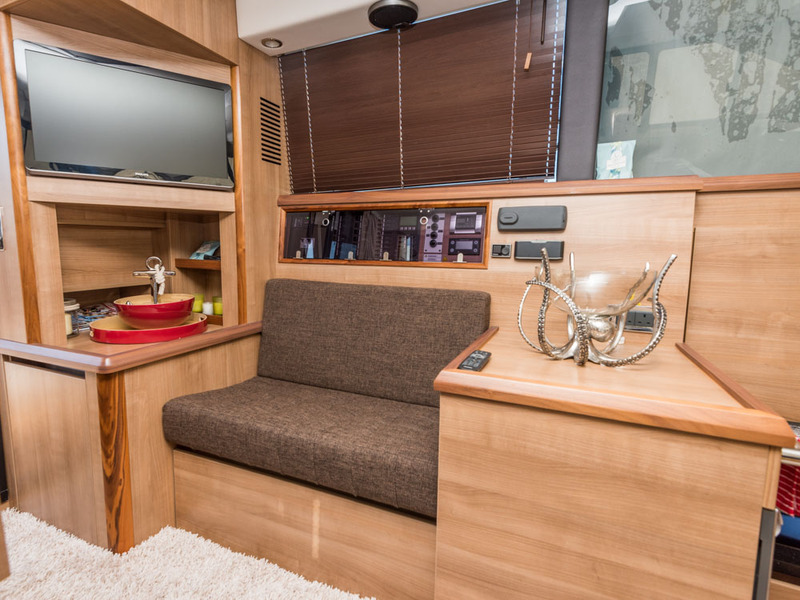 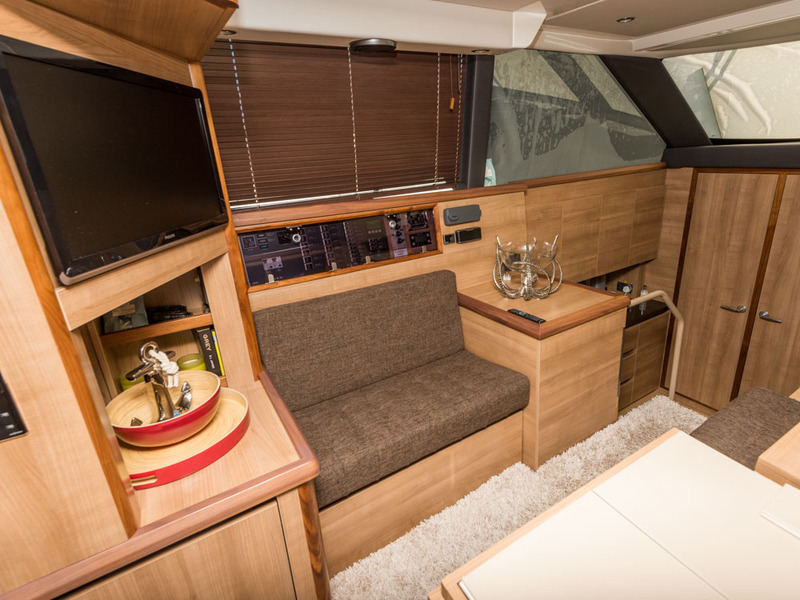 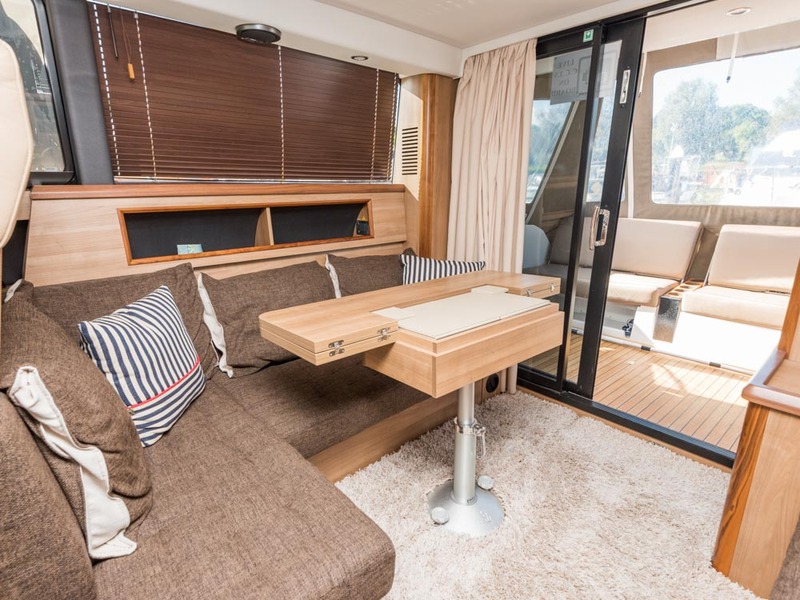 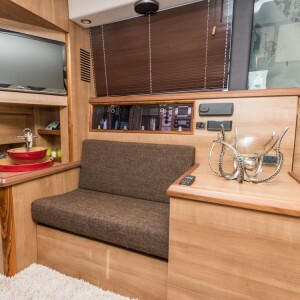 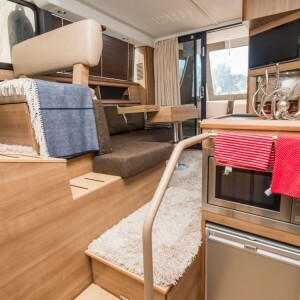 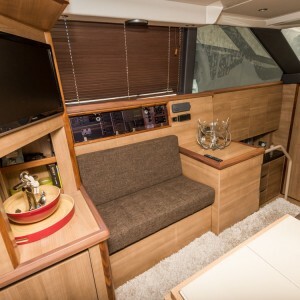 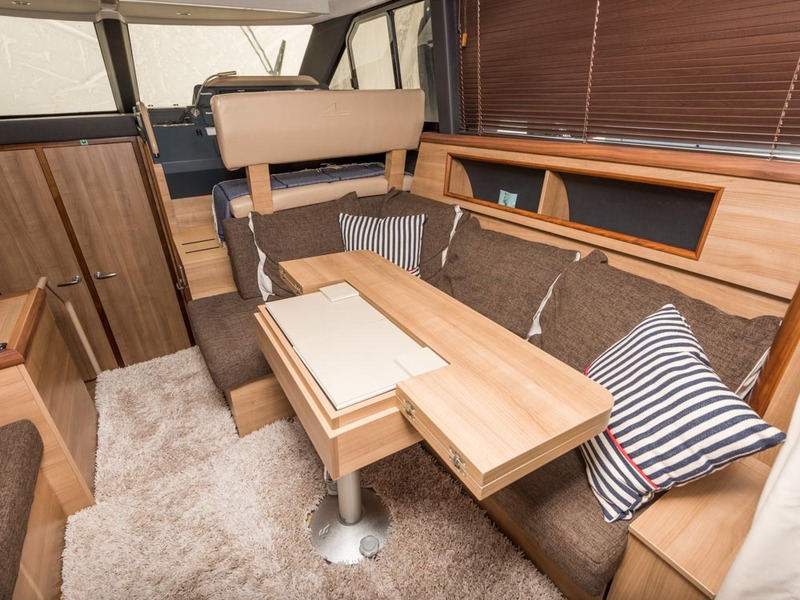 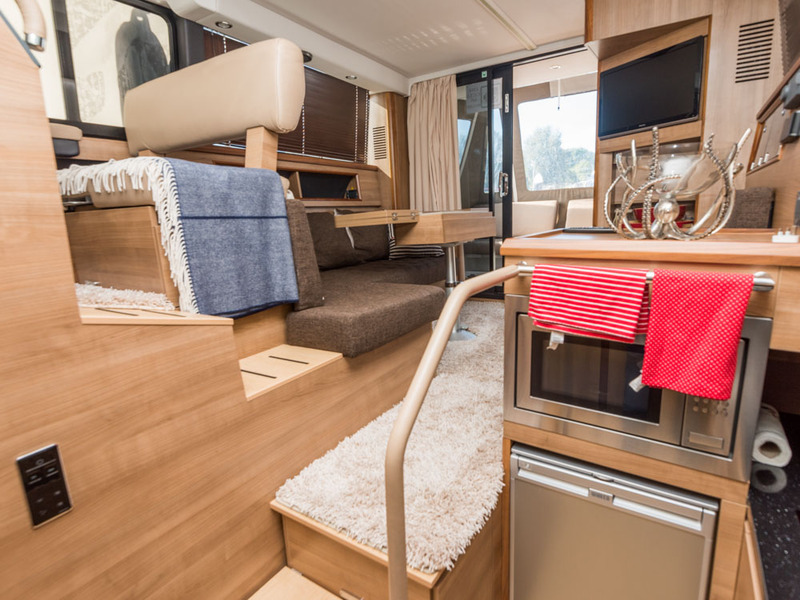 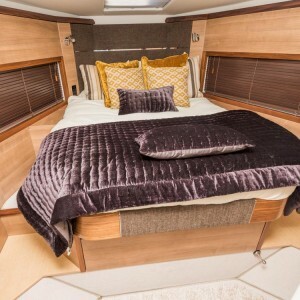 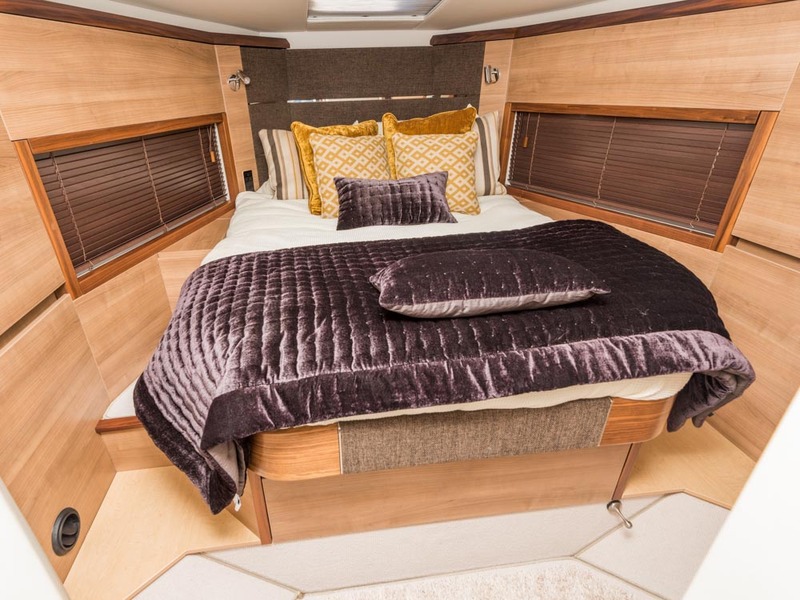 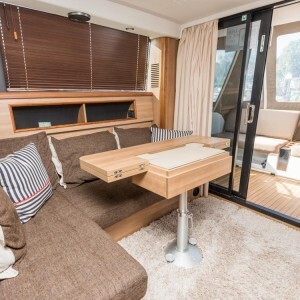 SALOON: Step into a spacious saloon with L shaped sofa to stbd w/optional conversion to double berth, and two-seater sofa to port. 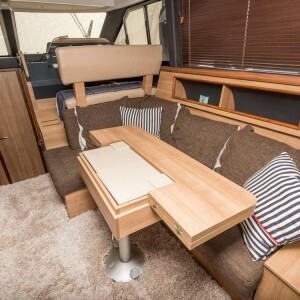 Foldable saloon table for casual or formal dining. 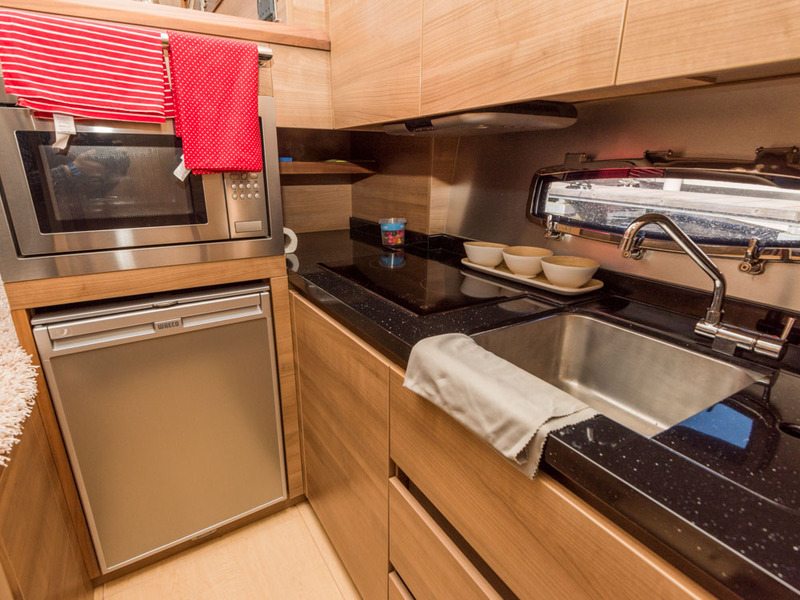 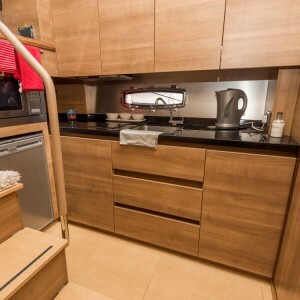 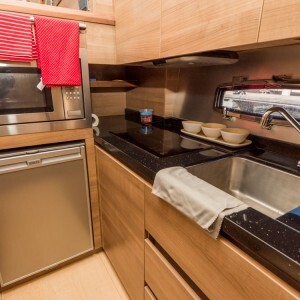 GALLEY: Well equipped galley with ceramic hob and microwave oven. 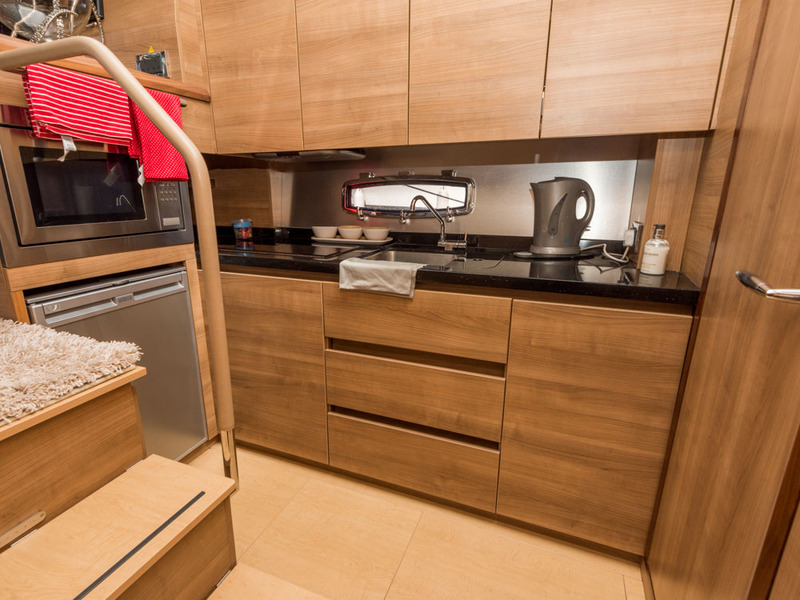 40 litre refrigerator as well as ample storage space. 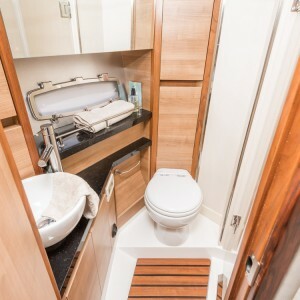 MASTER CABIN: Spacious master cabin in bow of boat. 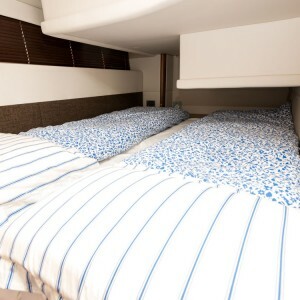 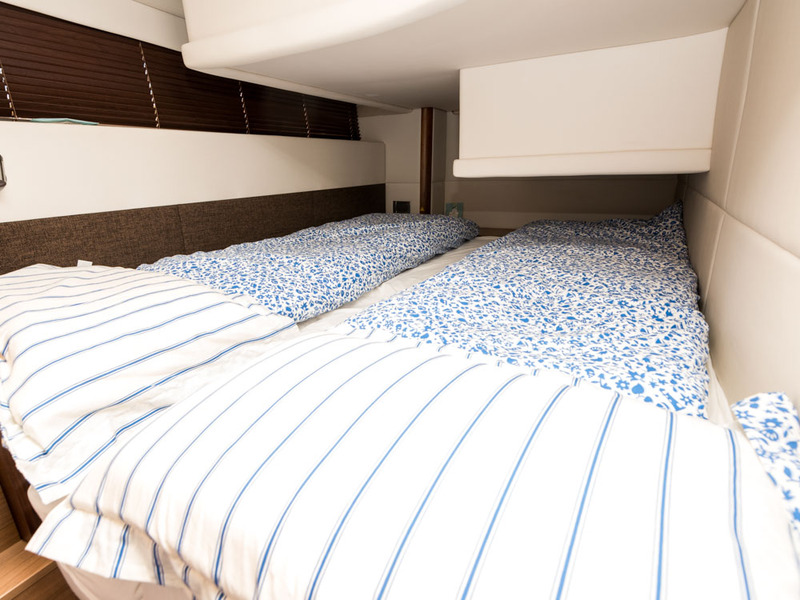 Beautifully fitted out with island bed with comfort mattress, side lockers and wardrobe. 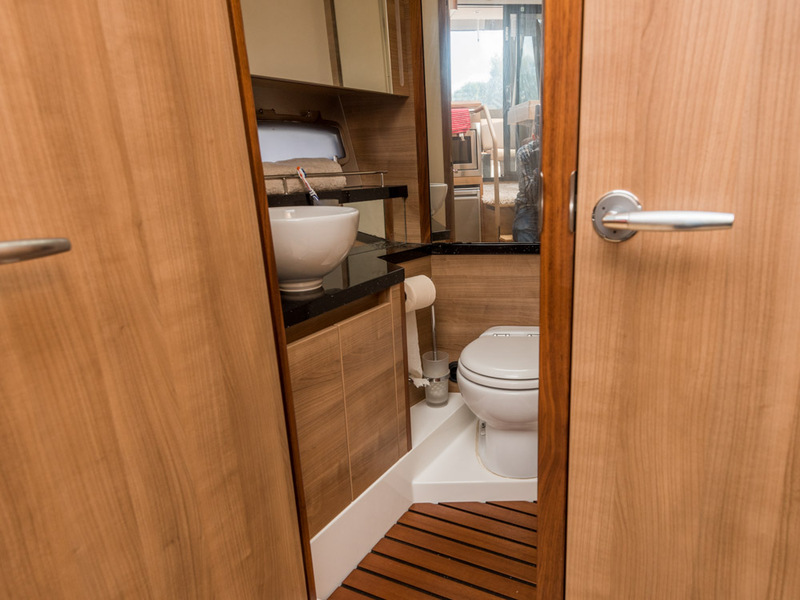 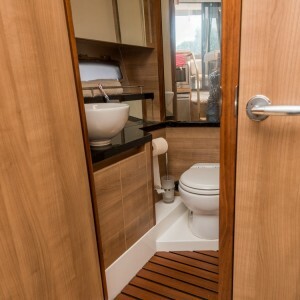 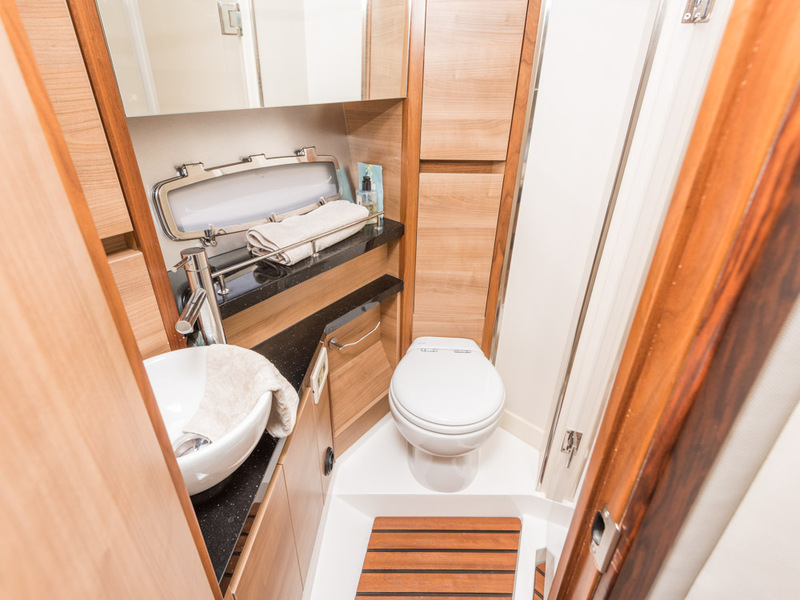 The master cabin has a separate head which is split to include a door into the shower unit.